applying Anganwadi Helper, Worker jobs candidates can go through the online official website of WCD Bangalore Urban website www.anganwadirecruit.kar.nic.in. The Last date to apply for the online applications is 07-04-2019. The educational qualifications for the candidates is 4th/9th class pass. The candidates will be shortlisted based on their performance in written test and interview. 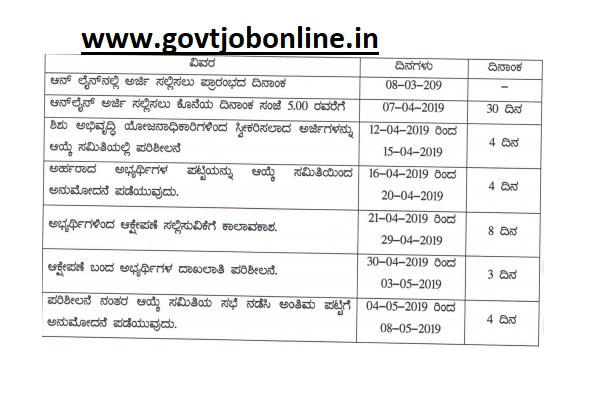 For the more information of age limit, pay scale, available vacancies and how to apply are given below for Anganwadi Worker, Anganwadi Helper jobs in WCD Bangalore Urban recruitment 2019. The post name and available vacancies are given below for the Anganwadi Helper and Anganwadi Worker jobs in WCD Bangalore Urban 2019. The age limit for the candidates apply for Anganwadi Worker, Anganwadi Helper jobs is in between 18 – 35 years. The educational qualification for Anganwadi Worker jobs is the candidates should have qualified 9th class. The educational qualification for Anganwadi Helper jobs is the candidates should have qualified 4th class. Salary offered for the selected candidates for Anganwadi Worker jobs is Rs.6000/-. Salary offered for the selected candidates for Anganwadi Helper jobs is Rs.9000/-. Last date for payment of application fee through online is 07-04-2019. The application fee for the candidates belongs to General/OBC category is Rs.200/-. The application fee for the candidates belongs to SC/ST/PWD/Ex-s is Rs.100/-. The candidates will be shortlisted based on their performance in written test and interview. 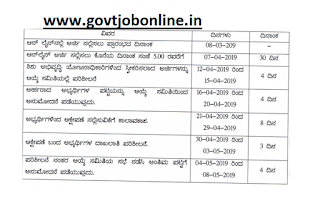 Interested candidates can apply for Anganwadi jobs through online official website of WCD Bangalore Urban is http://www.anganwadirecruit.kar.nic.in/ and submit the application form before closing date 07-04-2019. Candidates can pay the application fee through online at the time form submission. Bangalore urban nalli bilekhalli area kke arji hakorige canter name thoristha illa adu bittu arji fill madidre accept agtha illa.. yake heege ..?? Please sambandapatta varu idunna sari madabekagi vinanthi..! !